As foodies, there’s nothing better than to see a chef work his magic. 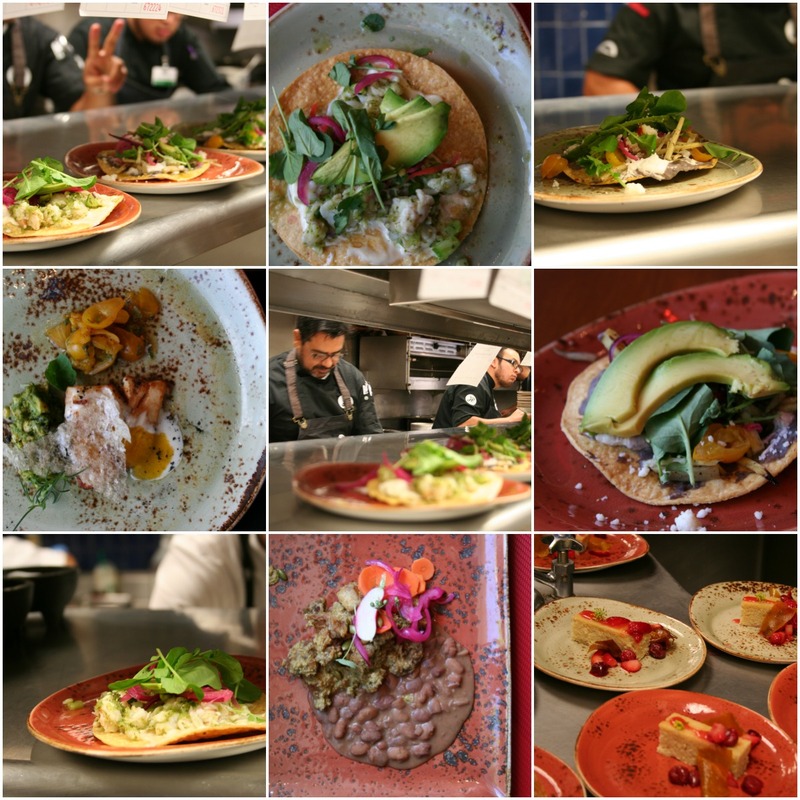 This weekend at Harrah’s Resort Southern California, we captured Chef Javier Plascencia, 49, leading about a dozen cooks who swiftly plated various dishes, like the shrimp ceviche tostada with avocado and watercress. Quick, quiet and efficient, this small band of culinary ninjas had been going at it since 8 a.m. They sliced, diced, chopped, seared, grilled, braised, baked and served guests at ‘Ritas Cantina at the laid-back resort as part of a new culinary series called “Culture through Cuisine,” a weekend long gastronomical experience into the relationship between food and culture. The work they produced looked and tasted absolutely amazing! The inaugural meal kicked off with a superb lunch menu on Saturday for about 50 people. 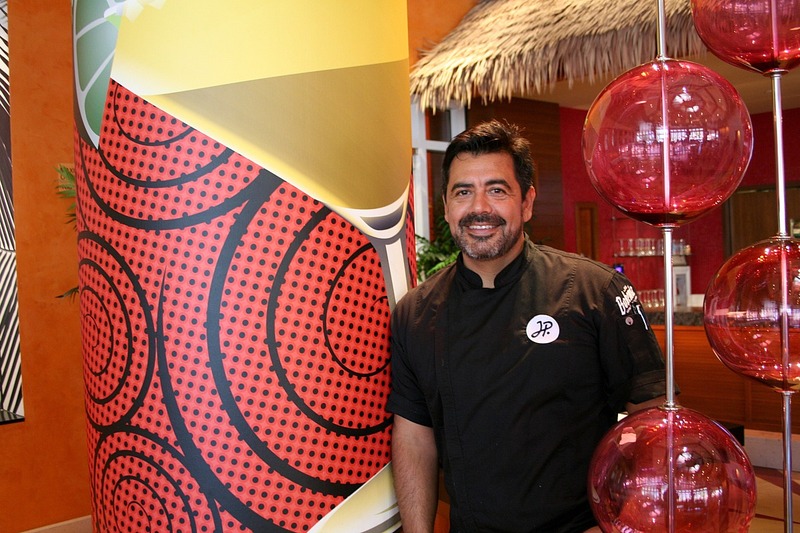 The handsome and friendly chef, who toggles between restaurants in Tijuana and San Diego, shared why he has become the face of the best Baja California has to offer in terms of cuisine. Humble, honest but with a keen focus on a vision of what Baja food can be. CHIPOTLE ROASTED ROOT VEGETABLE TOSTADA with fresh local Requesón, Preserved Lemon, Heirloom Beans and Watercress. Wine pairing for this dish was a Torres Alegre De Biko Blanco 2012, Valle de Guadalupe (French Colombard, Chenin Blanc). GREEN MACHINE SHRIMP CEVICHE TOSTADA with Avocado and Watercress. Wine pairing with Lomita Cursi Rose 2015, Valle de Guadalupe (Grenache Blend). BLUENOSE SEA BASS with Xoconostle Salsa, Roasted Avocado Tartar, Chile Manzano Gel and Crispy Tapioca Skin. CRISPY PORK BELLY CARNITAS with Green Pipián, Pickled Carrots, Radishes and Fresh Handmade Corn Tortillas. Wine pairing with Adobe Guadalupe Miguel 2014, Valle de Guadalupe (Tempranillo blend). For dessert, we had FINANCIER – Macerated Berries, Burnt Vanilla Ice Cream and Peach Skins. Now, let’s talk about this resort. 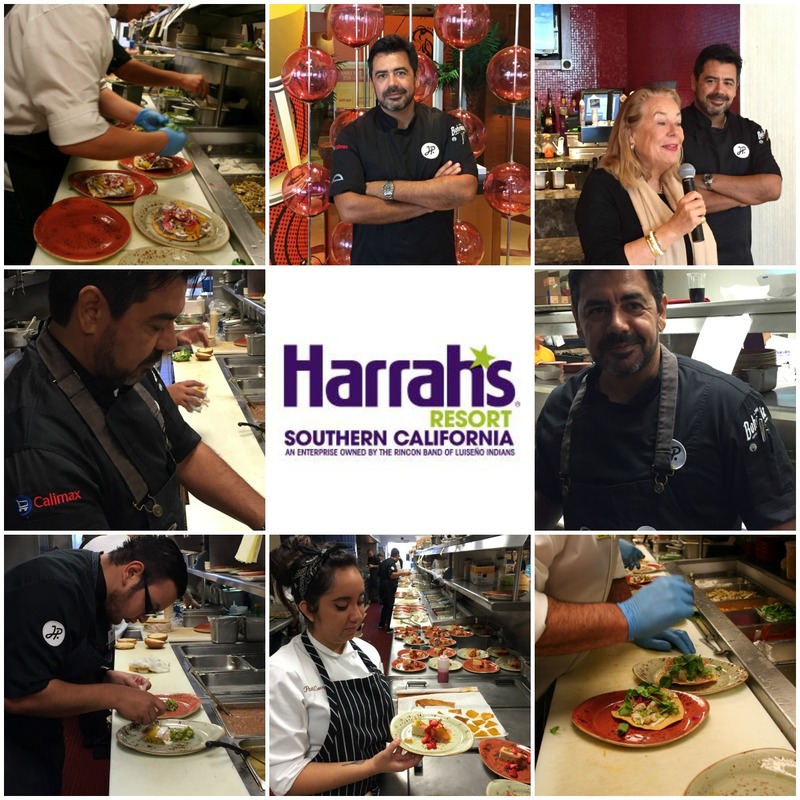 This is the second time we visited Harrah’s Resort Southern California. Each time has been a tremendous experience of comfort, customer service, and fun. Harrah’s SoCal is tucked away in the canyons, just 15 minutes away San Diego, or from Los Angeles, about 90 minutes. Harrah’s put us up in one of their suites. Check this place out!!! The resort is an all-season resort with a top-notch gaming floor, with multiple pools and lots of pool side cabanas. Gentle desert breezes greet you on the valley floor, and they will guide you to your next margarita…poolside.